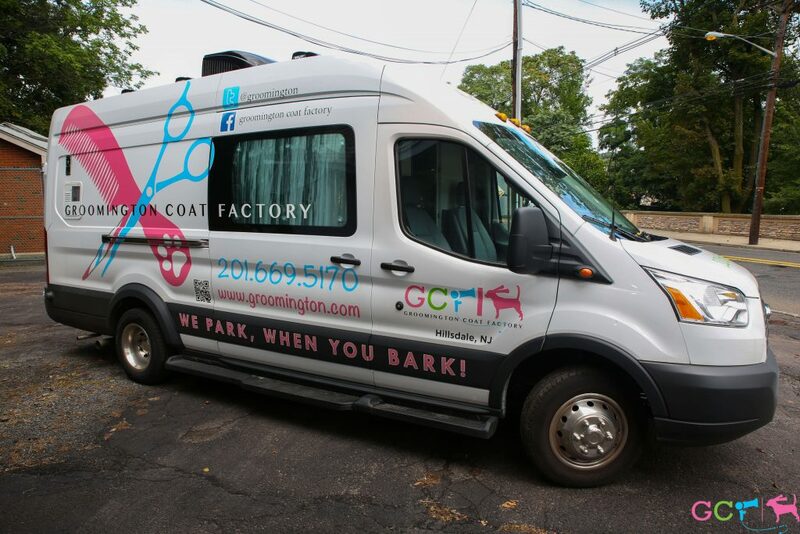 Our state of the art custom grooming units were created by the best in the industry, Wag’n Tails Mobile Conversions. 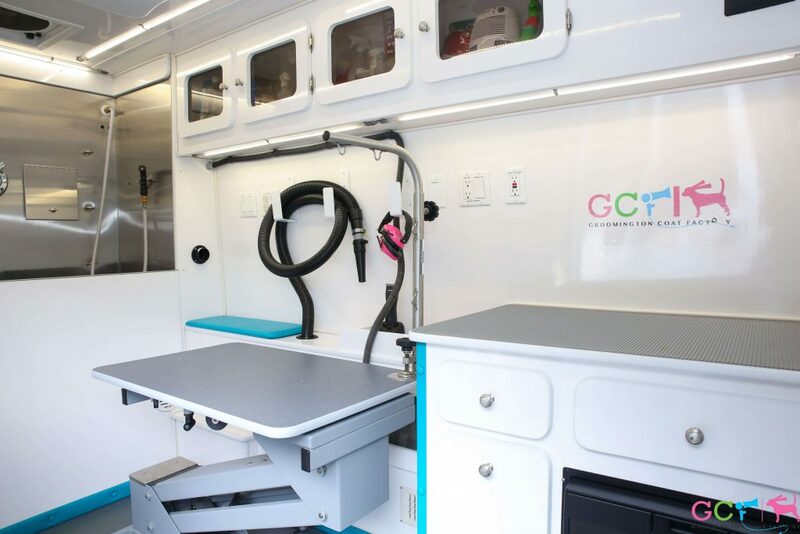 Each unit is complete with whisper quiet generators, heat, air conditioning, and fresh warm water. The interior is completely water proof and sanitary. 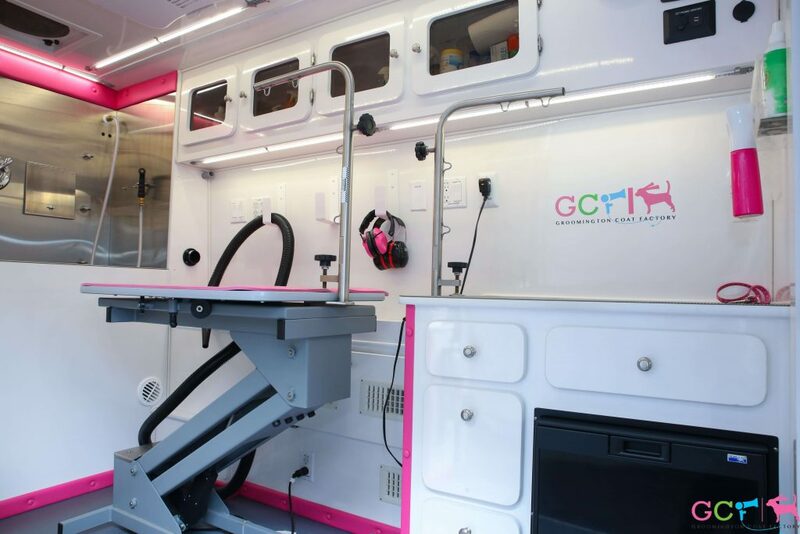 Our customized electric grooming tables allows big dogs, older dogs, or arthritic dogs to step onto the table just above the floor level and be comfortably raised to a normal grooming level. 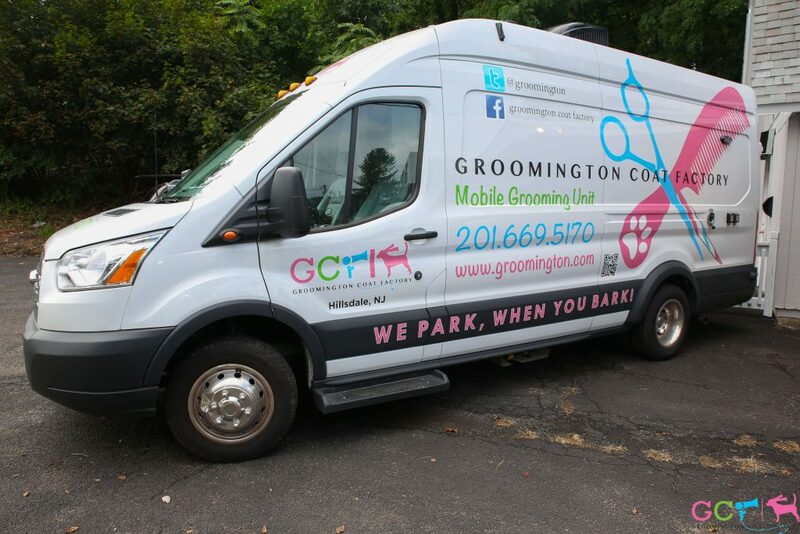 Our bathtubs are designed specifically for mobile grooming. Each tub is equipped with a shampooing system which provides an invigorating, therapeutic massage for your dog’s bathing pleasure.